Do you know? Almost 547 people in India die every day due to chronic kidney failure! Even as we speak chronic kidney failure is taking a huge toll on lakhs of families in India. But, you can save someone's life today! Come forward to show your support in helping my cousin brother- Shiva Prasad to get his Kidney transplanted. Shiva Prasad hails from Mangalore, Karnataka, India. 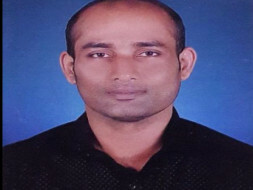 He was self-dependent man who works in mangaluru. His life was set and had lot of dreams about future. But life had different plan for him. And this storm come to him as Kidney failure on march 2013. Since then he is in dialysis in a hospital of Mangaluru weekly thrice. Luckly his sister’s kidney is matching for him. The transplantation surgery will be happening in Kovai Medical Center and Hospitals, Coimbatore. They have underwent all the documentation and tests releted to this. He planning to undergo transplantation in October. 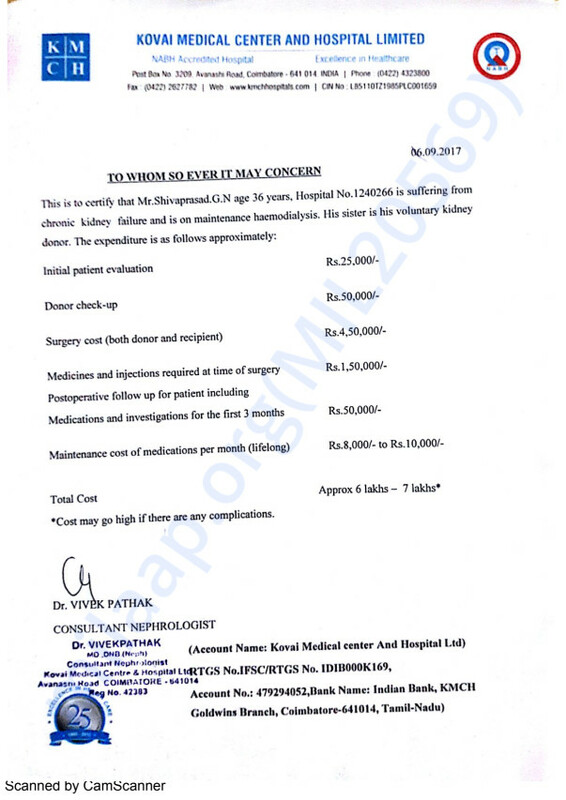 The total estimation give by hospital is of 7 lakhs.